Wed-Thurs, June 30-July 1...Travel of Burji Team to Ethiopia. It takes about 28-30 hours total time from our homes to the guesthouse in Addis. Pray for safety, for going to Customs (no fees), for emotions after leaving families. Pray for our wives & little ones left at home. We have 4 unusually tall men that don't fit well in the small airline seats; pray for them physically. Pray for those who struggle with fear of flying. Dave will fly separately, on stand-by; pray that he is able to get all his flights & connections. Pray for ease in handling 42 pieces of luggage... no lost or overweight luggage, no thievery, no strained backs. We'll check into the Guesthouse late Thursday; pray for electricity & hot water for showers :) As we are traveling to Ethiopia, the Burji truck is coming up from Burji to Addis; pray for safety for them also. Also pray that the construction of the new clinic building in Soyama will be completed, despite the unusual rains. Fri, July 2...This is a very important day of cramming lots of activity into 12 hours! We'll go in 3 different directions. Becky & the Construction Team will shop all over Addis for supplies. Dave & the new team members will finish orientation at a museum & church. Kevin & the veterans will travel to Alaba to see the work there. Pray for safety, for God to make our way straight & guide us in purchases, for clear vision of the Alaba church situation, for coping with jet lag. Sat, July 3..."Burji or Bust" is our theme today. 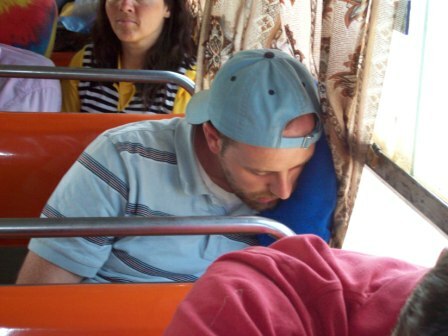 Those in Addis will load into Demissie's bus, departing at 3:30am. Sun, July 4...Hopefully, we had a good night's sleep, and are ready to get in position for our ministries. We'll divide into our teams. The 9 people on two of the village teams (Nedele & Mountain, led by Jon & Cindi) and the 4 people on the Medical Team will go to their villages to join the churches for their morning service; the rest of us will stay in Soyama getting our supplies in order. Pray for us as we split up; already we're well-bonded & it's hard to say good-bye; pray for good working relationships with our translators, the youth corps helping us & the church leaders. Pray for Jon & Cindi as they guide their teams, to rest in the wisdom the Lord provides to His people. Pray for Demissie as he returns to Alaba with the bus. Mon, July 5...Today the 5 people on the Gomeda Village team (led by Dave) will get into position; it is a 6-hour drive over rugged roads on the back of an open truck to get there. En route they will drop off the 3 men on the Construction Team at a rural church to install their solar powered loudspeaker & lights. Please pray for safe, uncomplicated travel & that the truck will get back in time to collect the Construction Team & bring them back to Soyama for the night. Pray for the Lord's hand to be upon the Construction Team in their work. 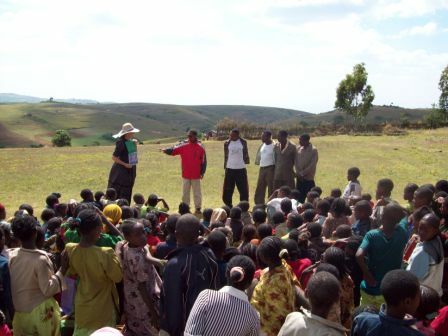 The Nedele & Mountain Teams will start their ministries in their villages; each church will be a 3-ring circus with men's, women's & children's classes happening simultaneously, and with eyeglass distribution. One of the great highlights is the distribution of Bibles to those who have completed the memory program. This year we are trying sunshades at the churches, since there are no trees for shade from the hot African sun; pray that these work well. Pray for there to be no rain during the daytime. The Medical Team have a very high learning curve today, as they adjust to doing medicine in a third-world setting; pray for good relationships & communication with the clinic staff. Dale will travel with the clinic chaplain to visit patients; pray for ease & comfort as he works apart from the team. The last person on the team is Becky, who will start recording Bible classes in the local language, using some great veteran believers; pray that she will remember all the practice she has done. Tue-Thurs, July 5-8...Ministry in place. The Construction Team, the Nedele Team and the Mountain Team will be moving about, from place to place for their respective ministries. Continue to pray for them, as they "gel" in their work. Pray for health, for wisdom, for grace, for Spirit-filling, for good communication, for good response to their work, for relationships with translators, etc. In some ways, these are the "high" days of the trip, before fatigue sets in. Also, pray for the translators and the Youth Corp that is working with our team members in the villages. This work requires not only the sacrifice of our Team, but also of many Ethiopian believers who sacrifice to make it happen. Pray that the bonding of the team with the helpers will produce spiritual fruit. Continue to pray for the Medical Team; we will have TONS of patients, because this is malaria season, and because word has gone out that a doctor is here. Pray for stamina as they see patients all day & then do in-service training for the staff in the evenings. Pray the staff will absorb the instructions. Pray for health in the midst of infectious diseases & for wisdom in coping with serious illnesses. Fri, July 9...Shifting around. On this day, the Gomeda Village team returns to Soyama and splits up. Pray for safety in travelling the long, rough road back to Soyama. Nicole & Kaleigh will swap places with the Humphrey family on the Nedele Team; the Humphrey family will join the Construction Team, which will begin work in earnest on the new clinic building; pray for safety, wisdom & God's grace to multiply the materials for the work. Pray for adjustment to all the changes & new partners in ministry. About now, the Team will be getting tired; we have been pushing our bodies hard for the sake of the Kingdom, but we need to finish the race well. Pray for self-discipline & diligence in ministry. Sat, July 10...Guji ministry starts. Today several of us will meet up from the various teams to go to the Guji Tribe. Bible teaching, mobile medical work, evangelism, & relationship-building/encouragement will be our focus. We'll also distribute the first Bibles to those who have completed the memory program in the Guji tribe! Praise God for this new outreach, which began in Nov, 08 with the trekking of Dave & Jason & (now martyred) translator James. (I think James would be very happy to see this result of his ministry.) Pray for good translators, for effective ministry, for good working relationships and for spiritual fruit. Today the Nedele & Mountain Village Teams move to their third village; pray for dealing with fatigue. Sun, July 11...On this day of rest & worship, the Construction Team will be in Soyama Town, the Nedele & Mountain Village Teams will be in their villages & the Guji Team will be in Gujiland. Pray for good rest, spiritually & physically, for translators, youth corps & team alike. Mon-Tues, July 12-13...Finishing ministry. All the various Teams will complete their work and make their way back to Soyama; they will be very tired, ready for a bath, ready to be reunited. We will meet with the church leaders & have our last evening all together; pray for wisdom. Pray for Demissie as he returns with the bus. Wed, July 14...Return to Addis guesthouse. The long road back, we basically sleep the whole way! Few people ask when is the next potty stop :) Pray for safe travel, for Demissie, for the bus operation...and also pray for the Alaba Team & the Ultrasound Team that are departing USA today. This is the day to pray for safety and wisdom in travel...all over the globe! Thurs, July 15...The day is spent in shopping, chilling, tying up loose ends. A final supper together with our Ethiopian helpers, then to the airport. Pray for safe travel, good seats, no lost luggage, leg room for the tall men, etc. As load the Burji Team onto the airplane, we receive the Alaba Team and the Ultrasound Team off the airplane! Pray for ease thru Customs, no lost luggage, etc. Fri, July 16...Arrivals & departures. The Burji Team arrives back in North Carolina, the Alaba Team explores Addis with Dave, and the Ultrasound Team travels 17 hours to Burji with Becky. Keep praying for all of us! Don't give up now! Sat, July 17...The Alaba Team travels 6 hours to Alaba & gets settled. Pray for good travel & the establishment of good working relationships with translators. The Ultrasound Team starts teaching the clinic staff about sonography. Pray for good communications, rapid understanding, good relationships. The clinic staff might be tired, having just had the Burji Medical Team on site for 1 1/2 weeks; pray for diligence to learn. Sun-Sun, July 18-25...Ministry days. In the Alaba Team, Alan will be teaching I Corinthians to all the church leaders, Danny will be teaching I Timothy to prisoners, and Dave & Danny will be going village to village teaching. On Sundays, they will each be preaching in various churches. Pray for good receptivity, for organization (Alaba's culture is fairly unorganized), for Spirit-guidance, for team-work. Meanwhile the Ultrasound Team will be teaching sonography all day, with lectures and hands-on learning. Pray for the staff to understand & 'get the hang of it' quickly. We have only 7 days to teach them; it's a high learning curve, and we need the Spirit's help! As the days pass, the fatigue sets in & self-discipline becomes crucial. Pray! For everyone, Ethiopians & Americans, pray for health. Mon, July 26...Tying things up. The Alaba Team will have one last day to connect with the evangelists that have been their prayer partners, and to meet with the elders. Pray for wisdom & bonding. The Ultrasound Team will spend all day traveling back to Addis. Pray for safety in travel. Tues, July 27...The Alaba Team will join the Ultrasound Team in Addis; they will have a few hours to shop, and then will have a last supper together before we all board the airplane. Pray for Dave & Becky as they have last meetings & tie up loose ends. Pray for safe travel; again, Dave will fly separately from the rest of us. Wed, July 28...Everyone will, Lord willing, arrive safely in their homes in the USA. Pray that the seeds of truth & training will remain in the hearts & minds of the Ethiopians, and that God will bring Himself glory as His Word accomplishes His purposes. Pray for the clinic staff to retain & practice what they have learned. Pray for the Ethiopian church leaders, translators & youth corps as they recuperate & absorb their ministry experience. Pray for all your prayer partners that are around the globe; thank God for their faithfulness alongside of you, in upholding this work. 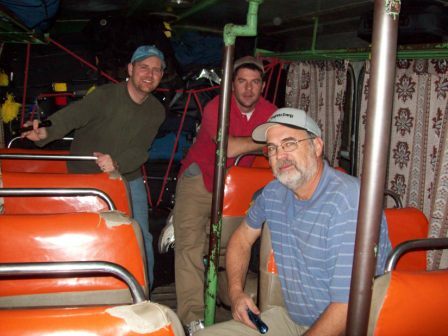 And thank God for the absolute privilege you have had in being a part of the Ethiopia Team of July, 2010!